Are you looking for a venue to host a business meeting, staff training or something similar then please contact us to see what we can offer? The venue has 3 different rooms of varying sizes and uses, which also includes a big raised stage area. 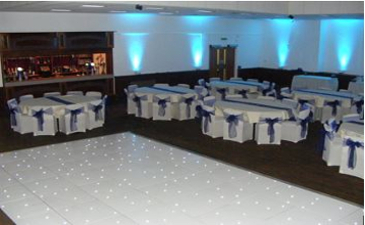 We can cater for up to 200 attendees depending on the requirements. With its own free car park, flat access for disabled patrons and in house catering team we are a versatile venue with very competitive hire rates. Local businesses from County Durham will be offered a discount with further concessions offered for charitable organisations. If you have any questions or would like to book with us then please contact us.